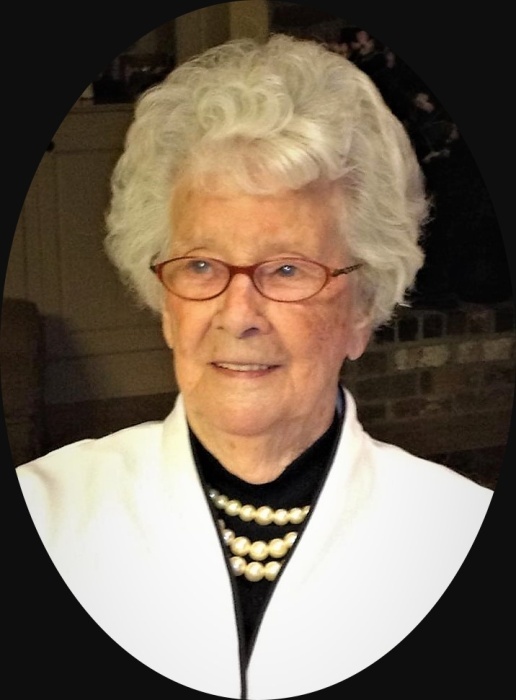 Jalie Reynolds Stephens, formerly of Crab Orchard, died peacefully on Sunday, November 25th, 2018, at the age of 105, in Berea, Kentucky. She was born on August 19th, 1913, to Robert and Della (Hamm) Taylor, and was one of 10 children—all of whom she outlived. In 1933, Jalie married Corvin Reynolds and they were blessed with three (3) children: Maetta (of Mississippi), Alvie (deceased) and Gene (deceased). In addition to her daughter, she is survived by special daughters-in-law, Genevieve Reynolds (Alvie) and Karen Reynolds (Gene); 7 grandchildren, Bobby Dees, Redonna Dees Burns, Regina Dees Patterson, Bill Reynolds, Heather Reynolds Millett, Stephanie Reynolds and Greg Reynolds; 12 great grandchildren, 10 great, great grandchildren, and many, many special nieces, nephews and friends, which include Martha (Blevins) Hamm and Mary Lynn Stevens, both of whom Jalie loved like daughters. She also had a special bond with several of her grandchildren’s spouses, which include Kathy Hamm Dees, Elizabeth Reynolds and Chip Burns. After they married, Jalie and Corvin owned and operated Reynolds Grocery for many years in Crab Orchard. Though it was hard work, Jalie loved and valued the lifelong friendships created by virtue of operating a general store—despite pulling some serious pranks on many of her unsuspecting friends/customers throughout the years! Years later following Corvin’s death in 1979, she met and married Hubert Stephens and relocated to Louisville, and when Hubert passed away in 2004, Jalie started a new chapter in her life by relocating to Mississippi where she lived with her daughter, Maetta. And it was no surprise that while living in Mississippi, she continued to create lasting friendships with all those that came into her life. Whether you knew her as Jalie, Cricket, Mom or Mam, you knew that she loved you! Her heart was as big as the State of Kentucky, and her laugh was even bigger! Loving people was truly her gift, and she loved everyone from every walk of life. She was renown for her country meals—which almost always included her home-canned green beans. . .considered by her grandchildren to be a delicacy! She continued her good times into her 80s and 90s, when she willingly went sledding, motorcycling, rode a camel, went horseback riding, rode a go-cart, and went for a ride on the lake in a pontoon (where she demanded to “go faster”)—all pleasure outings she enjoyed with her various grandchildren. She had the ability to make all 7 of her grandchildren feel like they were her favorite, and she invested herself in each of their lives. During her lifetime, she was a faithful and devoted church member, having been a member first at Providence Church of Christ, followed by Bethel Church of Christ and later Gardiner Lane Church of Christ in Louisville. And her faith was evidenced by the way she lived her life. She was a special lady and one whom making the world a better place just seemed to come naturally. She enjoyed gardening (both vegetables and flowers), quilting, crocheting, cooking, UK basketball, Wal-Mart and most of all, family and friends. The family would like to thank the staff at Berea Health & Rehabilitation who took great care of Jalie and kept her comfortable during the last months of her life. Services for Mrs. Jalie Reynolds Stephens will be held at Providence Church of Christ on Thursday, November 29, 2018, beginning with the visitation from 11am – 2pm, followed by the funeral at 2pm, with Rob Miller officiating. Burial will follow in the Providence Cemetery.